The Eclipse on March 8/9 was one of the most powerful eclipses I can remember. The energy started coming in a full week before and has continued through today March 12. I am finally getting some relief today from the energy surges that just keep on coming. Many have experienced one day of fatigue and then the next day, a day of being wired up. A feeling like electricity is running through their veins. I have experienced this same thing and more so, the wired up feeling for days on end. I was able to get some sleep last night but this entire week I got little more than a few hours each night. We had some times of complete helplessness as the energies flowed in. It may compare to restless leg syndrome as the energies ran through the body with lightening speed. The vibration of the planet has now lifted. We are the conduits for this energy to flow. I am grateful for all the service from others in this Ascension process. This ecslipe has caused a huge upgrade in our light bodies and with that taking place our bodies may have run out of gas on many levels on many days. Please check your intake of vitamins and minerals during this time, including adding superfoods to your diet. This would be foods that have a super punch of natural healthy energy for the body with combing many vitamins and minerals in the same food. Make sure your levels are up to speed on Calcium, Iron, Vit D and Magnesium. I recently gave up regular dairy for alternatives and it has been my own adventure to replace the needed vitamins and minerals. Our LIGHT BODY went through major changes in this time line and we have started to come out on the other side. The DNA changes to the light body can be rough and we can experience times where we need to regroup and make sure all of our 3D aspects are being taken care of to make the light body process as smooth as we can. The eclipse carried so many upgrades and new insights with it just as I talked about in my article before the eclipse. We have NOW emerged a brand new being of light in a new timeline. Do you notice yourself thinking: Why did I do this ( Insert your own experience) in the past when I should have just done this, it would have been more self loving and so much easier. This is the new timeline we have stepped into. We now have a much larger 5D and above reality to be able to see all the aspects to a situation that we were unable to see before. The first wavers have had this especially difficult as we are the path forgers of the new light that is coming in. We are the first to see new things and to be able to connect the dots to what it all means. Keep working this through, you will see the connections and this is the level and pathway to the higher realms. We will now be seeing more transparency in all things. We can now see the reasons others behave and act the way they do. We can see the motivations and agendas behind what they do and what they say. This is a very important psychic aspect that should not be overlooked. For our own self love, it is vital that we are aware of what is going on with others we let into our circle. Staying in your heart base it is easy to see between what someone says and who they really are. The goal is to tap into your heart during every encounter, so you can pick up more psychic information about the person. This will give you insight into who they really are. But with that we also need to set boundaries, our circle may become smaller and that is ok, like minded others are the key to keeping vibrations high. You can now tap into your own authentic soul essence, this is what the light body is. The light body hides nothing from anyone, all that is true is revealed. This is the true way of being in the higher realms. This transparency is now being delivered to each one of us as we move more fully into the light body design. Now more than EVER before we move into our Pure authentic soul self, the one that we have spent many lifetimes with before, the one that knows much more than we do and the one who loves us unconditionally. To love ourselves in this reality is the work of authentic spiritual masters. 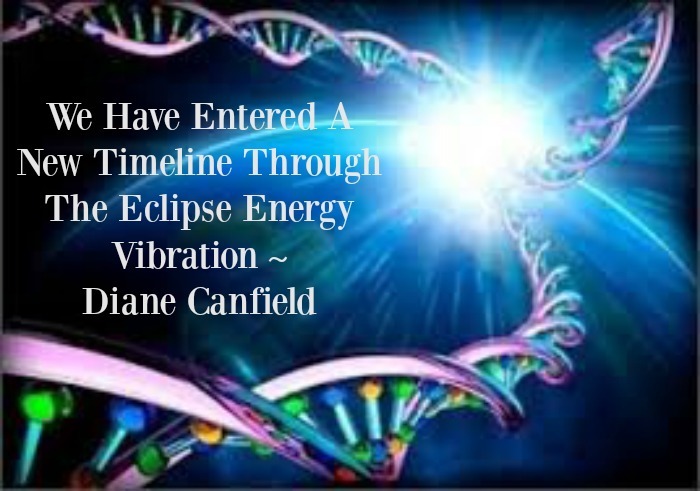 As we head into the next energy waves of the Equinox on March 20th and the Lunar Eclipse on March 23, we must be aware we are already integrating the HUGE light body surges we have just gone through. We now can look at all beings compassionately, for they are trying to make their way just as everyone else is. The difference between a fear based life and a self loving based life is miles apart. The fear based being seeks to control and have power over others, the self loving master seeks to understand others unique essence and appreciate each person for their contribution to this beautiful Universe we inhabit.